1984: 12 year old Roy van de Water faces a mystery when suddenly things appear in his life which are of a supernatural nature. During his childhood years Roy builds up a good friendship with Emma. Just like Roy, Emma also lost her father, which creates a bond. But through a fatal accident, they lose contact with each other over the years which follow. 1996: In the meantime, 24 year old Roy bumps into Emma by coincidence, pours out his heart to her and tells everything that has happened to him. Very slowly, the frightening premonition creeps up in Roy that the deaths of people from the past seem connected to the unexplained events. He begins a search into the secret behind the truth. Who can he trust? What are you capable of, when it seems more people become aware of your deepest secret? A thriller with supernatural appearances, dreams, love, Satanic forces and….the dead. 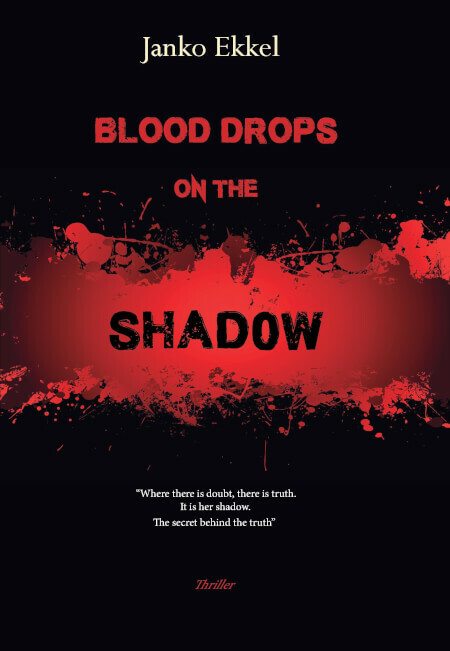 Blood drops on the shadow: the beginning of the end.